Brentwood, Tennessee, is an upscale suburb of Nashville that is now home to about 40,000 residents. In 2000, the population was just 23,000. This Williamson County community is known to have one of the highest per capita incomes in the country relative to the cost of living. Mound Indians and inhabited the area in prehistoric times. Artifacts of early villages and ceremonial mounds have been found in the Meadowlake subdivision and at Primm Historic Park. These early residents seemingly disappeared by the 13th century. In the 1700s, nomadic Indians from the south came here to hunt. By the late 1700s, limited settlement by those of European descent had occurred. Some received land grants in lieu of payment for their service during the War for Independence. After the Civil War, tobacco became the primary crop in the region. Later, horse farms proliferated in the area. Those that invest in properties in Brentwood TN will have numerous local parks from which to choose. The largest park in Brentwood is relatively new. The 397-acre Smith park is being completed in phases. The first phase opened in early 2014. A centerpiece of the facility is the Ravenswood Mansion, a residence constructed almost two centuries ago. Crockett Park covers over 170 acres. Amenities are as diverse as a frisbee golf course and an indoor soccer arena. Eleven multi-purpose fields, eight lighted baseball diamonds, and seven lighted tennis courts offer a great amount of recreational opportunity. Trails are maintained for those that wish to hike or bike. The Eddy Arnold amphitheater and two historic residences add to the diverse pleasures of this well-esablished park. It is possible to quickly compare all parks at the city's website. The 27-acre Deerwood Arboretum and Nature Area includes a complete observation deck and an amphitheater. The Little Harpeth River meanders through the park. Abundant wildlife take refuge in this preserved green space. Lakes add to the views of those that head out on the nature trails. Crockett Park hosts the popular Brentwood Fourth of July celebration. The city sponsors a free summer concert series at the amphitheater here as well. Thanks to the significant recent growth of Brentwood, many newer Brentwood TN homes are among the homes for sale in Brentwood. 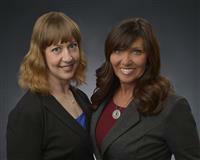 Look to your expert Brentwood real estate agent to show you Brentwood TN real estate that truly speaks to your needs. A potential Brentwood home buyer will find many modern residences with luxury amenities like in-ground pools and multi-car garages. Some of the more established Brentwood homes for sale will feature mature landscaping. There is some Brentwood real estate that is value-priced for younger families, retirees and those on a budget. A professional Brentwood realtor can tell you more about the properties for sale in Brentwood TN that might truly meet your requirements.